Appliance Repair Sugar Land, TX | 832-956-1602 | Refrigerator Repair & More! 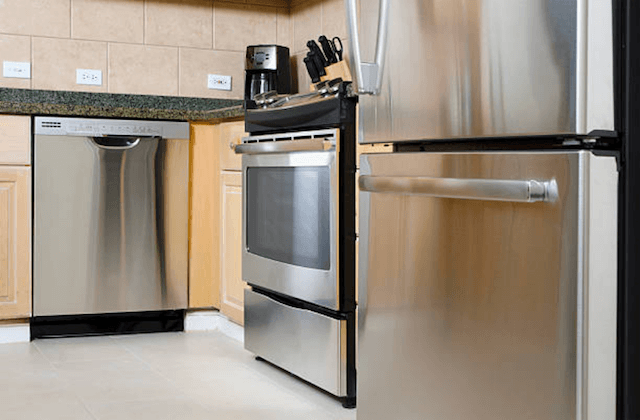 Appliance Repair Sugar Land, TX – is pleased to take care of our customers in Fort Bend County, TX. We have been in the appliance repair business for years. We are family owned and operated and have always made the complete satisfaction of our customers our ultimate goal. We aim for our appliance repair service to show our customers how much we appreciate their business and trust. Call now for appliance repair Sugar Land loves! With our certified local repairmen, you are always in good hands. We continually send our technicians for education and training. Thus they have years of experience in all older brands and models of appliances and are up to date with all new technologies as well. Customers can receive same-day appointments simply by making a phone call. And, our goal is to do all necessary repairs on ovens, dishwashers, washing machines, and dryers on the day we make our visit. We fix all brands, including Whirlpool, Maytag, GE, Kenmore, LG, Samsung, KitchenAid, Sears, Wolf, Bosch, Sub-Zero, Frigidaire and any others. To make sure that we can always make same-day repairs, we stock our vans with manufacturer parts for these major brands. And, all labor and parts carry a 12-month warranty! We guarantee your satisfaction! Our technicians repair all common freezer and refrigerator problems on all common brands and models. 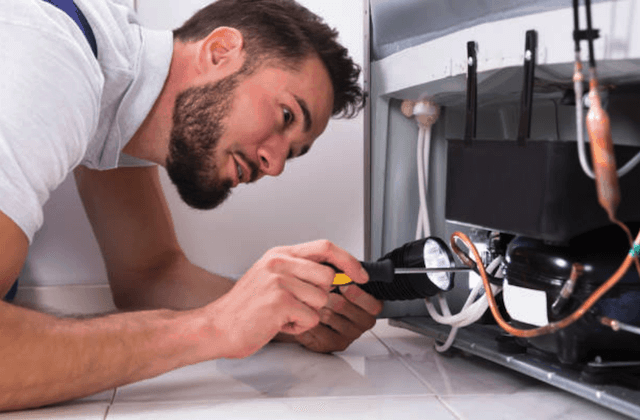 We fix burnt-out bulbs, touch panels, leaks, water dispensers, condensation, smart technology, loud noises, cooling issues, ice makers and more. Our technician will identify the issue and use manufacturer parts to make sure that your warranty remains valid. Call now for refrigerator repair. 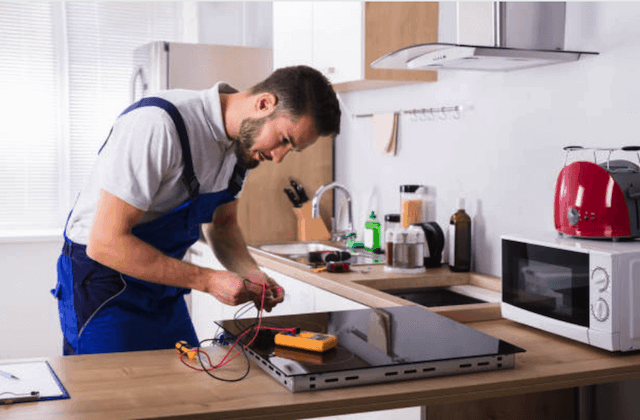 As a dedicated local appliance repair company, we offer oven repair and are always on-call to repair broken range and stoves hoods. We fix gas and electric models and all problems related to ignitors, doors, relays, burners, bulbs, switches, and more. Our techs bring the tools and are thoroughly trained to fix all brands and models of ovens the same day you call! And our training and experience extend to all new models as well as old ones. When your dishwasher breaks down, you can schedule same-day service for dishwasher repair. We routinely fix common issues with dishwashers including – cloudy glassware, pump assemblies, float switches, impellers, solenoids, odors, and other parts. A dishwasher is a complicated appliance. Lots of different things may disrupt wash cycles or prevent drying. You can rely on us to identify and correct any of them. When the dryer or washer breaks down is can be really inconvenient. You do not have time to keep running to the laundromat. Call us and our repairman will arrive the same day and on-time to fix the problem. We repair both front-loading and top-loading machines for agitation, noise, door, switch, vibration, control board and vent issues. Same-day dryer or washer repair is what we proudly do for our customers at One-Call Appliance Repair. “One-Call is great! Their repairman called ahead of time to say he would be early for my refrigerator repair appointment. Then he identified the problem right away and fixed it very fast. One call really was all we needed.” – Jeremy E.
“The ice maker on our Whirlpool refrigerator stopped making ice so we searched “appliance repair Sugar Land” to find a company in Sugar Land and One-Call had the best price. Their service was excellent too!” – Yvonne B. “Tim, the owner, is so friendly and really cares about his customers! He came to my home on a Saturday to repair my oven in time for a big Sunday dinner we had scheduled for the next day. I can’t thank Tim and One-Call enough and recommend him to all of my friends.” – Carol T.